The Women's March's Twitter account on Sunday celebrated the birthday of a convicted cop killer wanted by the FBI as a "revolutionary." 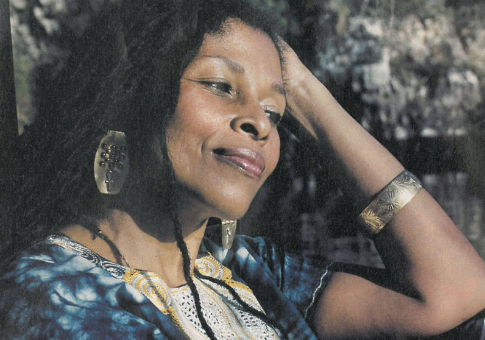 "Happy birthday to the revolutionary #AssataShakur!" the official account for the anti-Donald Trump movement tweeted. Assata Shakur, born Joanne Deborah Byron, is currently on the FBI's "Most Wanted Terrorists" list under her married name, Joanne D. Chesimard. As a member of the Black Liberation Army, Chesimard was found guilty of first degree murder and assault in 1977 after she and two other members opened fire on New Jersey state troopers four years earlier. One officer was wounded, and the other was murdered execution-style with his own weapon. Chesimard escaped from prison in 1979, and fled to Cuba for refuge. The FBI is offering one million dollars to anyone who provides information that would lead to her recapture. President Donald Trump name-checked the fugitive last month when explaining why he was scaling back the "one-sided" normalization of relations with Cuba. "Open yourselves to political and economic freedoms. Return the fugitives from American justice—including the return of the cop-killer Joanne Chesimard," Trump said. This is not the first time the Women's March has celebrated a convicted terrorist. One of the movement's leading figures, Rasmea Yousef Odeh, was convicted of carrying out several terrorist attacks in Israel. This entry was posted in Politics and tagged Assata Shakur, Women's March. Bookmark the permalink.